Country Club Homes - Grubb Ventures LLC. Cottage-Style Charm in Hayes Barton. Just off the intersection of Oberlin Road and Fairview Road in the storied Hayes Barton neighborhood of Raleigh sits Country Club Homes—a quiet community of quaint, cottage-styled apartment homes. 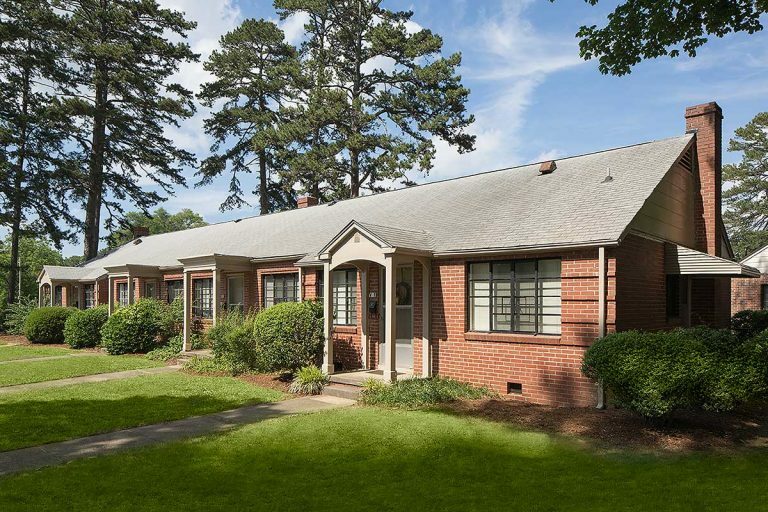 Located inside the Beltline, this community is merely minutes from Cameron Village, Glenwood Village, downtown Raleigh, and I-440. 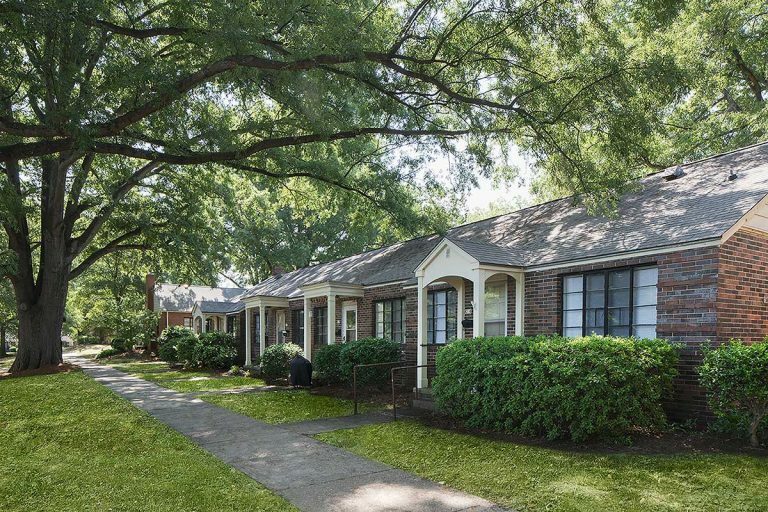 It’s also within walking distance to the restaurants and amenities of the eclectic Five Points area. 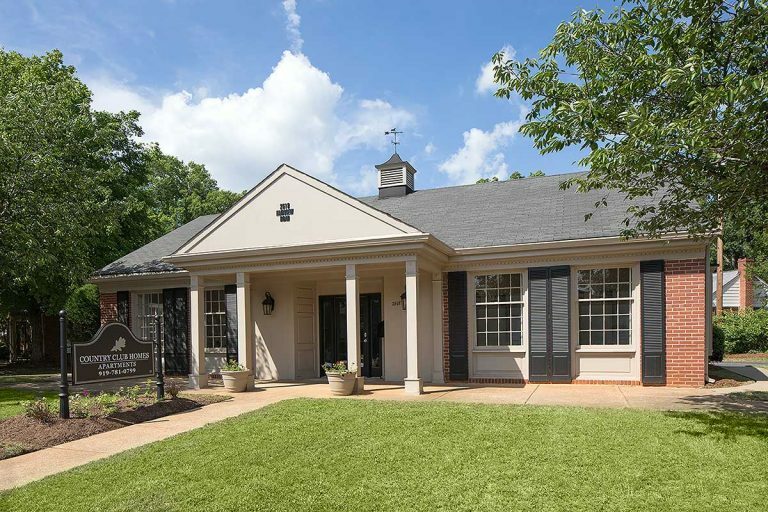 The convenient location—central to area shopping and dining while nestled in a beautiful walkable neighborhood—makes Country Club Homes a desirable address. 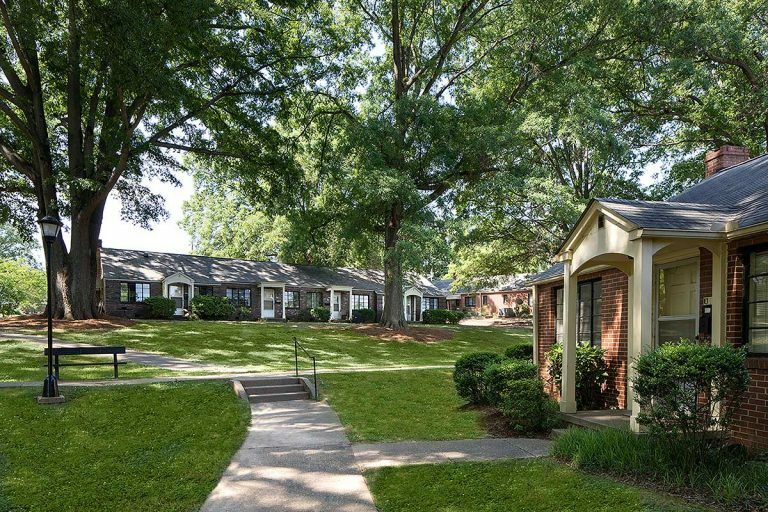 The community offers one, two, and three-bedroom apartment homes, each featuring individual front and back door private entries. 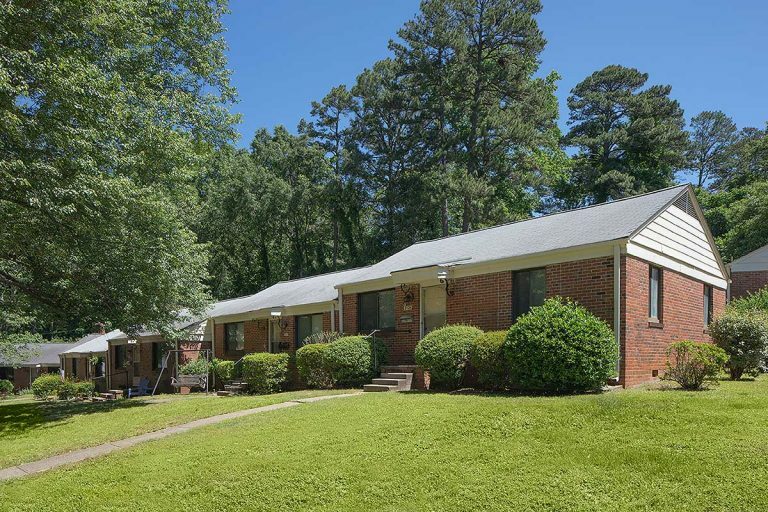 Built in the 40’s and 50’s, this community’s charm remains timeless, featuring large oak trees, benches, and park-like surroundings.